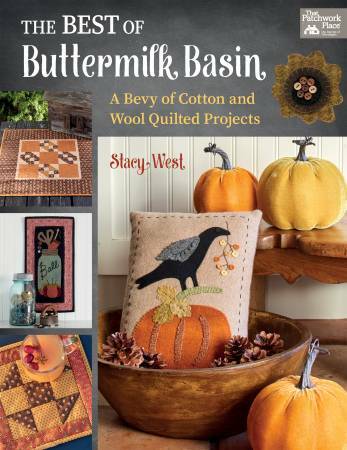 A smidge of vintage, a splash of folk art, a pop of color, and a pinch of patchwork--your recipe for creating the coveted Buttermilk Basin style. Join bits of wool, cotton, and thread to bring 17 charming projects to life--they couldn't be easier to create! With simple wool-applique, embroidery, and quilting techniques, you can adorn home and hearth with small quilts, pillows, penny mats, a mug rug, and other items for seasonal decorating and everyday living.